For example, you may not know who is running for governor or attorney general of your state or what Measure 100 is. Or maybe you just need to know how you can vote come election day, where to go, if your state does in person or “by mail” voting, etc. Thankfully, a couple of search terms in the Google App get you all of that. 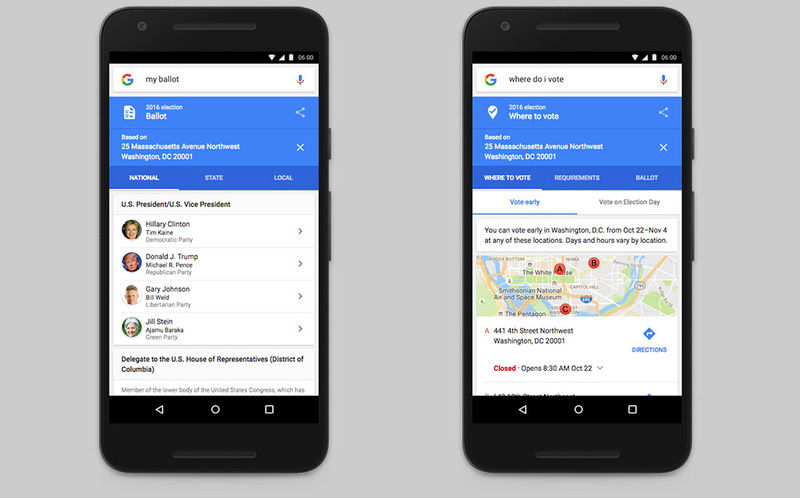 Try searching for “how do i vote” and Google will return results for your state, assuming you allowed it to access your location. From there, you’ll see how you can vote, what the requirements are, and when your state opens up voting. If you are on top of your voting info, try searching for “my ballot” to see all of the local goodies you get to cast a vote for. You’ll get tabs for “National” and “State” based on your address, both of which break down the candidates and offer info for each. You don’t need to do anything to get this info, other than searching. This stuff is all built into Google at this point. Also, because it’s the 2016 election: chill out in the comments. We can all be better humans and this election is proof that we need to be.